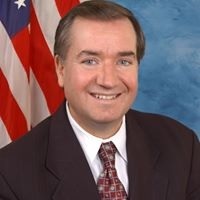 WASHINGTON, D.C. – (RealEstateRama) — This week, Representative Ed Royce (R-CA) spoke on the House floor in support of bipartisan reforms that will extend the National Flood Insurance Program (NFIP) which is currently set to lapse on July 31, 2018. “Mr. Speaker, we stand here today doing what we have done 38 times since 1998. Passing an extension of the National Flood Insurance Program without much needed reforms. Subsidized flood insurance represents a moral hazard. We tell Americans that if you buy flood insurance from Uncle Sam, no matter how many times your house floods, we will give you money to rebuild it. We haven’t worked to decrease moral hazard; rather we have embraced and celebrated it. We make it more difficult for people to move than rebuild. We fail to encourage communities to mitigate flood risk. And we continue to build in high-risk areas. The clearest sign of moral hazard is the number of repeatedly flooded properties that are rebuilt with little deference to mitigation. The examples are staggering. A $90,000 home in Missouri flooded 34 times at a cost of more than $600,000. A $56,000 home in Louisiana flooded more than 40 times at a cost of $430,000. And a $72,000 home in Texas – that flooded again last year – costing taxpayers over $1 million in payouts.